Home Secrets Self Improvement Do You Make Decisions While You Sleep? A while back I watched a movie called "Remember Sunday" where the hero suffers short-term memory loss due to a brain aneurism. Waking up every morning his mind was a total blank about the previous day. So he had to record himself daily to remind himself of important things he had to do that day. Doctors told him that his hippocampus was damaged. This is the part of the brain, which creates and consolidates memory. The process of retaining new information in the form of memory occurs when we sleep and it helps us recall better. I remember thinking this could be good or bad. Some people have had terrible pasts and would love to forget it. Others may feel the loss of personal history and connections that they had to the past. As the movie progressed I could feel his frustration of not being able to remember anything, not even his newfound girlfriend. To a lesser degree this could translate into our lives in the form of having trouble recalling information or locating things the next day when we don't get enough sleep. Another sign of not being rested enough is when we get up feeling tired both physically and mentally. A simple thing like recalling a person's name becomes difficult. Then when we are relaxed and not straining to remember the name pops up in our memory. Unfortunately the convenience of being switched on 24/7 is beginning to take a toll on the world. More and more people are sleep deprived keeping awake in front of their laptops, tabs, smartphones and TV, which they are glued to at the expense of sleep. People are like children in a toy store not wanting to blink for fear of missing the breaking news, latest trend, entertainment and keeping in touch through social media. Previously reserved for new mothers whose babies keep them awake, 'sleep deprivation' is now common vocabulary for the masses. It is almost like a badge of strength and cool to be sleep deprived. But the jury is in with the verdict that sleep deprivation actually impairs our functioning. It is actually downright dangerous when driving or handling machinery, not to mention caring for babies. We sleep about a third of our entire lives and the recommended amount for our physical and mental wellbeing is eight hours a day. Sleep is the body's way of restoring itself from the day's stress, promoting growth and resting the mind. It is during sleep that growth hormones are released, which is why babies and teenagers experiencing growth spurts sleep so much. In fact higher productivity and sufficient sleep go hand in hand. This is why I advocate companies and leaders promote their employees welfare by ensuring that they do not stay back to work as a matter of routine and showing others that they are working. To me, an employee who gets the job done and leaves work on time is someone who is productive during the day. I say "hoorah to you"
When faced with a problem it is better to go home and "sleep on it" as the old saying goes. 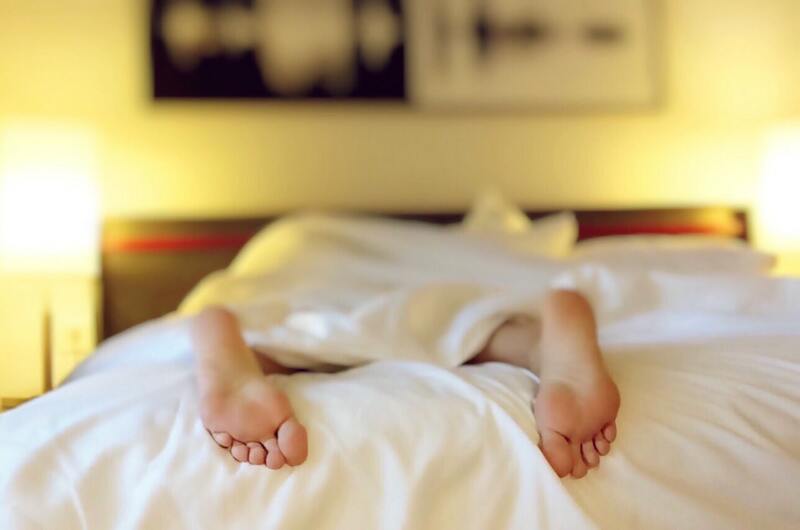 Research has identified a number of reasons that sleep is critical to our health. "During sleep, neurons in the brain fire nearly as much as they do in waking hours" according to a recent article by The Huffington Post. I ask my unconscious mind for an answer by the time I wake up the next morning and let the issue go just before I drop off to sleep. The next morning always brings clarity and opens up new paths I did not think of during the day. I process the solution via my unconscious mind rather than analyse through the conscious mind. Sleep is the process when the conscious mind takes a break so the more powerful unconscious can get to work. What is required here is trust. You have to trust that the solution will surface. This method requires less energy than analysis through the conscious mind hence you will wake up far more refreshed and energized than if you tried to solve the problem by staying back in the office the night before. Just try it. You will be surprised at the ease with which you will come up with solutions and ideas. The tricky part is to stop processing the problem or issue at hand. Letting go requires trust that will build your confidence in the process. Ruminating actually makes matters worse as we magnify what we focus on. The worst scenario is dwelling on the problem after we get into bed. It has the reverse effect of keeping us awake and making the situation appear worse. I recall a time when I was still working in corporate. There was huge conflict between a few parties in the company. Rather than go on analyzing the situation that night we called it a night. The next day we were all so much more refreshed and had gained perspective of what the situation needed. A bit of compromise here and there and Bob's your uncle. Mind you sometimes I have found that the solution may come in a few days not one night. That is in cases when the matter was big and needed a lot more time to sort out. How do you sleep? If your patterns are not regular then create some routines around sleep that will let you have a restful night. See what happens when you change your sleep patterns. How does it impact your life? Are you creating better outcomes? Which one of these are you aware of? Are your sleep patterns working for you?